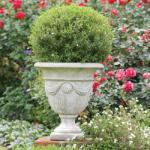 Urns carved out of stone and earthenware amphorae were used by the Greeks and Romans as drinking pitchers and to store other products of nature’s largesse, like wine and olive oil. 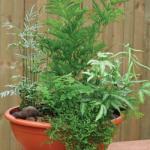 Ferns are easy to transplant and benefit from regular repotting into slightly larger containers. 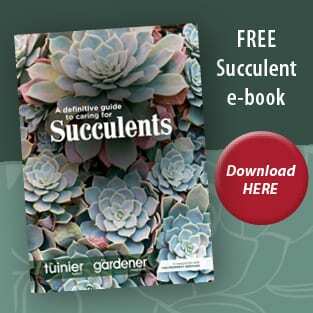 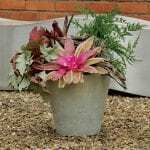 There are a number of tough waterwise characters that thrive in containers and love being out in the midday sun.Summer can take its toll on container plants and having continually to replace ones that succumb to the heat every year is tiresome and expensive. 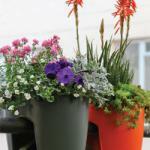 These new balcony planters in fashionable colours are idea to plant up with easy to grow plants in complementary colours. 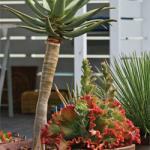 The planters fit without fuss on a balcony railing or fence and are ideal for flat dwellers, and for brightening up a small garden.